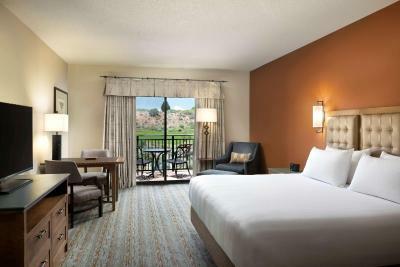 Lock in a great price for Hyatt Regency Tamaya South Santa Fe - rated 9 by recent guests. Location, food and facilities were excellent. It's in a remote location but was very peaceful and relaxing. Staff was very friendly and the property was beautiful. Elegant and stylish place in the desert. Calm, peacefull, beautiful. Hot springs. We celebrated our 25th Anniversary and wanted it to be special and memorable. El Resort y todo lo que rodea ese maravilloso espacio de la naturaleza, me pareció espectacular!! Volvería todos los años!!! Peaceful and relaxing resort. Each employee of the resort offered great customer service... total "ownership" well beyond their assigned roles. The gallery was amazing!! Thank you. L’emplacement et le cadre sont magnifiques. Très bien entretenu. Personnel très professionnel. Pour plus de tranquilité, prendre une chambre avec la vue sur l’extérieur,(mountain view) plutôt que sur l’intérieur (piscine et toboggan). Featuring 4 restaurants, this resort is 30 minutes’ drive from Albuquerque Airport. Free Wi-Fi is offered in all rooms. A championship golf course is located on site. 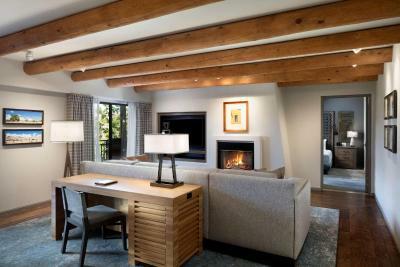 All rooms include a flat-screen cable TV, a work desk, an iPod docking station and coffee-making facilities at Hyatt Regency Tamaya Resort and Spa. Each en suite bathroom is equipped with a hairdryer. The Santa Ana Café offers New Mexican cuisine for breakfast, lunch and dinner at Hyatt Regency Tamaya Resort Santa Ana Pueblo. Corn Maiden restaurant offers dinner nightly. Rio Grande Lounge serves dinner during the week and lunch and dinner on the weekends. Guests can relax in 2 outdoor seasonal pools and 1 outdoor year round pool at Santa Ana Pueblo Hyatt Regency Tamaya Resort. A full service spa is also available. Rio Grande Nature Center State Park is 24 miles from Santa Ana Pueblo Hyatt Regency Tamaya Resort. Albuquerque Museum of Art and History is 30 minutes’ drive from the resort. This property also has one of the best-rated locations in Santa Ana Pueblo! Guests are happier about it compared to other properties in the area. This property is also rated for the best value in Santa Ana Pueblo! Guests are getting more for their money when compared to other properties in this city. Hyatt Regency Tamaya South Santa Fe has been welcoming Booking.com guests since 30 Jul 2013. When would you like to stay at Hyatt Regency Tamaya South Santa Fe? This air-conditioned suite offers a work desk, a flat-screen cable TV, a small refrigerator and coffee-making facilities. An en suite bathroom with a hairdryer is also provided. This quadruple room features a balcony, air conditioning and bathrobe. This quadruple room has a balcony, cable TV and bathrobe. This quadruple room has a balcony, patio and bathrobe. This suite features a balcony, bathrobe and patio. This quadruple room has a balcony, bathrobe and flat-screen TV. This quadruple room features a balcony, air conditioning and patio. This quadruple room features a balcony, flat-screen TV and air conditioning. This quadruple room features a balcony, patio and air conditioning. Hyatt Regency Tamaya Resort is a remarkable combination of luxurious amenities and the culture and history of the Tamayame people that create an outstanding resort experience. In addition to the pampering services of our award winning spa, championship golf facilities and unique activities of offer, guests will be delighted with our attention to detail and welcoming staff. Business travelers will appreciate our full service business center and state-off-the-art meeting facilities. No matter your reason for visiting, we invite you to take advantage of all we offer at our extraordinary hotel. House rules Hyatt Regency Tamaya South Santa Fe takes special requests - add in the next step! All children or adults are charged USD 20 per stay when using existing beds. Hyatt Regency Tamaya South Santa Fe accepts these cards and reserves the right to temporarily hold an amount prior to arrival. Please note that there is a non-refundable pet cleaning fee at this property. Contact the property for more information. The adult only pool, the staff was friendly and efficient. Great resort to unplug from the world and relax. My swimsuit plus the two others I was staying with all had our swimsuits bleached by your hot tub. They removed the $32 resort fee but it didn’t cover the several hundred we paid for our suits. The food in the restaurant. Great place, native indian style with fireplace. Food just average. Exceptional staff throughout the property. We really don't like the changes to the decor after the remodel. The living room and other areas have lost their Southwest feel and comfort and the decor is too urban/digital focused. Also the patio doors for the room patios are in disrepair. Our room in 1147 or 1149 (can't remember) had a screen door falling off and getting stuck. Everything at this marvelous resort is wonderful, staff and the views, property are amazing.